Notes: I said I had a stack of these novels. You've been warned. This one is about the murder of a babysitter and the baby. This is one of the longer 87th Precinct novels. From 1989. Mini review: This one was a tad slow at first, but I was hooked after about 50 pages. That's when things sped up and became interwined. One of the more complex of the McBain novels I've read, and also one of the more brutal. Being that these are police procedural novels, murder is not uncommon, but the murders in this particular book were stronger than most in this series. Notes: I picked up a stack of McBain's 87th Precinct police procedural novels a few days ago, so I'll be making my way through them. This is one of the older books, from 1963, and they're usually my favorites of the series. This one is also supposed to be about a sniper killer. Mini review: Unusual for McBain's novels, it took me a good 50 or so pages to get into this one. Normally these things start off like a bullet and keep my interest rolling along, but this one was more like a steam kettle, slow at first then building. Still, it got me going eventually. Another unusual thing about this particular novel is that it only focused upon one series of crimes, the sniper shootings. 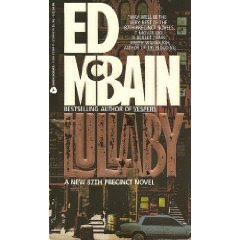 Usually these McBain 87th Precinct novels focus on several crimes, with one major one (the main plot line) with several lesser ones (side or sub plots). Overall, entertaining, but not my favorite. Had an interesting ending. Notes: I ran across this book just yesterday at a store, and it seemed almost as if someone were telling me something. 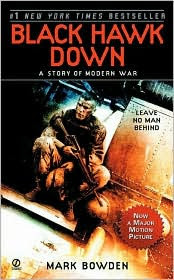 See, I was winding up reading Black Hawk Down. 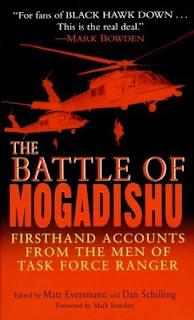 And this book concerns the same events, a U.S. military operation in Mogadishu in 1993, though this book contains stories told by six of the military personnel actually involved. This is their personal accounts. I'm especially interested because this book is more modern, only about 5 years old, whereas Black Hawk Down was published in the late 1990s. Mini review: The writing was nowhere near as good as in "Black Hawk Down," but that's to be expected. These men are, or were, soldiers, not writers. That being said, it was still interesting to read these men's tales of the events of that Oct. 3 and Oct. 4 mission, each man with a different perspective from a different area of the events. My favorite story was the last one, "On Friendship and Firefights," by Dan Schilling, who was a combat controller with the Air Force Special Ops Command involved in the operation. Dan's recollections were a bit tough at times on the other men involved, but he was just as quick to point out his own mistakes in Somalia. My short story "Ogre" is now available online at The Absent Willow Review. Notes: Yep, saw the movie. Wanted to read the book, too. This is the true story of U.S. inolvement in the attempt to capture two underbosses of Somali warlord Mohamed Farrah Aidid in the early 1990s. As a newspaper editor at the time, I remember the tragedy of the events, and the tragic photo images I saw from the Associated Press. The majority of these photos were not shown to the public, and definitely not at the newspaper where I worked, which is as it should have been. Mini review: There are too many emotional responses from this book for me to easily list them all. Frustration. Anger. Sadness. And admiration. At it's most basic, this was a situation where everything that could go wrong pretty much did go wrong. There were sometimes ill decisions, all the way from the commander in chief down to even individual soldiers. There was bad timing. There were misunderstandings. There was bad luck. There were far too many deaths in a military operation that in theory should have gone down smoothly and swiftly. But among all this there were also moments of heroism, moments of pride and sometimes even dark humor. Anyone with interests in military history, especially recent history and U.S. military history, should read this book. Notes: This is a literary classic I've been meaning to get to for a long time, and one of the books originally on my list of books I want to read. Besides, my recent reading of Frank Norris' McTeague has me in the mood for some classic literature. Mini review: An excellent plot, though I felt the ending left a little too much mystery for my liking. Good characters, too. 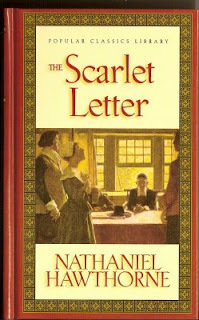 I found it interesting the female protagonist was such a strong character in the end, considering when this novel was written in 1850 and the time of the story itself, the early days of Puritanism in Boston. There were some boring paragraphs, mainly ones filled with description of things I didn't think needed describing (walks through forest, etc.). And there's a bit of a mystery very early in the tale that I was able to figure out almost immediately. But still, a pretty good book. Okay, I finally have to do it. Here are some quotes from Stephen King, likely the best-known author in modern times. Some of this is from fiction, some not. Enjoy. "Get busy living, or get busy dying. " "God is cruel. Sometimes he makes you live." "When his life was ruined, his family killed, his farm destroyed, Job knelt down on the ground and yelled up to the heavens, 'Why god? Why me?' and the thundering voice of God answered, 'There's just something about you that pisses me off.' "
"Go then, there are other worlds than these." "I believe the road to hell is paved with adverbs." "When a good writer is having fun, the audience is almost always having fun too." "No one ever does live happily ever after, but we leave the children to find that out for themselves." "Life is not a support system for art. It is the other way around."